Mad Max is the latest Linux port from Feral Interactive, probably one of the titles I have been most excited about so hopefully it lives up to the promise. It has only been a few weeks since Feral Interactive released Dawn of War II, Chaos Rising and Retribution on Linux, and now we have a real whopper with Mad Max. Something Linux lacks is a reasonable amount of high quality open-world story-based games. We started getting a few with Borderlands 2 and Shadow of Mordor, but another top quality game like this is a must for us to keep the interest up. 90% of over 16 thousand reviews are positive, so I hope it gets a good reception from Linux users too. My overall view is pretty good, as you will see below. It’s amusing that the game was originally announced in March of 2015 and we heard very little on it so for long, but it’s finally here! It’s likely someone jumped the gun a bit back then. We developed and tested the game with AMD GPUs and right up until approval (and beyond). We pushed really hard but sadly there were a few to many edge cases on AMD GPUs meaning support wasn’t possible in the end. In most cases the game runs just fine on modern AMD GPUs (2GB VRAM+) that can support Mesa 11.2/RadeonSi however some cards and situations can have issues linked to driver issues. All of the driver issues that effect this title are being worked on / logged in freedesktop. Many of them should be fixed in future versions of the kernel 4.9 or the latest git of Mesa. AMDGPUPRO does render correctly but in most cases Mesa is faster and more stable at this stage. We’ve put a lot of effort into getting support for all vendors for every game we’ve released on Linux. We report issues with the close source driver teams and support the Mesa project with bug reports, Steam keys and in some cases submitting code fixes. We’ll keep up this effort with all the driver teams as part of our Linux development process to help push Linux gaming forward for everyone. This was at "High" settings. With no additional adjustments. There’s an unskippable WB and Avalanche Studios intro video, but it’s only around 15 seconds and doesn’t really get in the way too much. As opposed to some games having what can feel like endless videos for various things. One major issue I repeatedly get on my main machine is that the audio after the intro (as you get to the main menu) will completely mess up and give me some weird static. This only happens on my main machine, never had it on my testing machine. I have been able to get around it by killing and reloading PulseAudio, and then restarting the game, I’ve seen this with one or two other games, which leads me to it being a bug in PulseAudio directly. If anyone else sees the issue, I would be very interested to know. The issue did not go away when I upgraded to Ubuntu 16.10. The game does not feature a benchmark mode, sadly, so it makes it much more difficult to give you a performance report on it. I can give you some general observations however, on top of the video shown above. Part of the problem is every time you load an area, it will be quite different. It will have different weather effects, different encounters and so on. Getting any kind of comparison is very difficult. RAM Use: I've seen a few people worried about how much RAM they have due to the specified requirements, so I kept a monitor open while playing for about an hour on "Very High" settings at 1920x1080 resolution and my entire RAM use didn't even hit 6GB with Mad Max, Chrome (with 9 tabs open), Steam, Dropbox, IRC and Telegram all open. You likely only need more than 8GB RAM if you're playing at a higher resolution. Checking on VRAM use, it was only hitting about 1GB for Mad Max. Using my test machine: Intel i5 4670K, 16GB DDR3 RAM, Standard Hard Drive, 1920x1080 resolution. With my Nvidia 980ti on the “High” settings preset with Motion Blur (eww) off, I have seen some rather decent FPS scores for the game. Driving around in general has been giving me between 80-110FPS depending on how far away I am looking. Comparing that to gameplay I’ve seen from the same CPU and same GPU on Windows, we are hitting rather close. However, there are performance problems with the port. Much in the same way as Tomb Raider, a few select areas will make the performance nose-dive. I’ve seen my Nvidia 980ti dip down to 30-40FPS during fights in a couple camps, which is pretty bad. Mostly it’s good, but a few select areas need improvements. In the Feral Launcher advanced settings, you can turn on “Enable FPS Smoothing” which might help a bit with the drops bouncing around your FPS. As for the current state of playing Mad Max on an AMD GPU "radeonsi" driver, I've been told the experience is quite good with the current bleeding-edge version of Mesa. The default configuration will not allow you to move the camera with the right pad while any other button is being used, including movement with the stick. This is a big problem for a game like this to not be able to move the camera while doing anything, so I highly recommend changing it to “Mouse Joystick”. There is no way to change your gamepad sensitivity in-game and it’s quite slow by default for all gamepads (a well known issue, judging by my google searches), but luckily with the Steam Controller using “Mouse Joystick” mode there is a way. If you go into the advanced settings and put up both Minimum Joystick X & Y Output Value the speed is quite a bit improved. The better way is to do the other option below, but requires manual file edits. The Steam Controller does work without needing Steam Big Picture though, so that’s nice too. Prepare a coffee, as the intro video isn’t exactly short, but once it finishes it does literally drop you right into the game. Visually, the game is really quite impressive. There’s only so much you can do with sand and rock being the main feature, but damn does it look great. What is most impressive is the awe inspiring and absolutely striking atmosphere of the game. Some of the environment is destructible too, with your car being able to completely smash through certain smaller rock formations. Enemy cars are partially destructible too, as when you gradually smash them, bits start flying off. Gameplay wise, it seems very much like a mix of both Mordor and the later Far Cry titles, with you running from location to location, looting a few things and taking out enemies like you would in Far Cry. The melee combat seems to be similar to Mordor, with attack and parry while being surrounded by enemies. You also have attacks you cannot parry and must dodge, it’s all very familiar and after completing Mordor, the combat in Mad Max doesn’t seem all that difficult. The combat is brutally fun, smacking up some bandits, and giving them the Shiv never gets old. If you land enough consecutive hits, you will enter Fury mode, giving your attacks a bit more power. You befriend a dog quite early on after a bit of a scuffle, and he becomes useful for sniffing out minefields, which is a way to reduce the threat in a region. Apart from that, the dog isn’t used for anything else. The way it works is pretty fun though, the dog will come out of it’s little cage in the back of the buggy vehicle and point you in the direction of a minefield. He will go mental with his barking when you come close to a mine, which requires you to get out and manually diffuse it. You come across a weird fellow named Chumbucket (yeah, I know what that sounds like, keep your dirty thoughts to yourself), who becomes a valuable and strange sidekick who sees you as some kind of Saint. He wants to build what he calls his Magnum Opus, a car which at the start is but a shell of what it can become later on. I mean that literally, it has an engine, some wheels and an actual frame but nothing more. While the combat on foot is mainly about melee, with different melee weapons to pick up, combo attacks and so on, you do also have your trusty shotgun. Not far into the game you also unlock a pretty beefy looking sniper rifle which can be used from the back of your vehicle. The shotgun is meant for quick blasts and you’re not even able to move when you pull it out, only aim. It is a little annoying for it to be so restrictive, but I understand why they did it, since it could become too easy just blasting enemies away with no thought put into it. 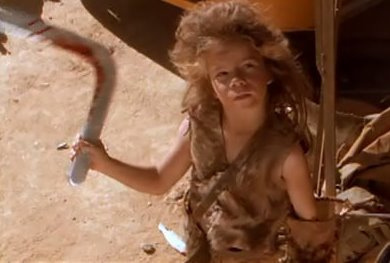 It’s pretty fun when you’re driving with Chumbucket in the back, as he repairs damage any time you get out. Pretty great, considering my terribly poor driving skills are constantly ruining my wheels. Seeing him jump out, and start putting out the fire is always fun. He will also drive off without you if you go running about and some enemies start closing in, but you gain a handy flare-gun to signal him to come back for you. 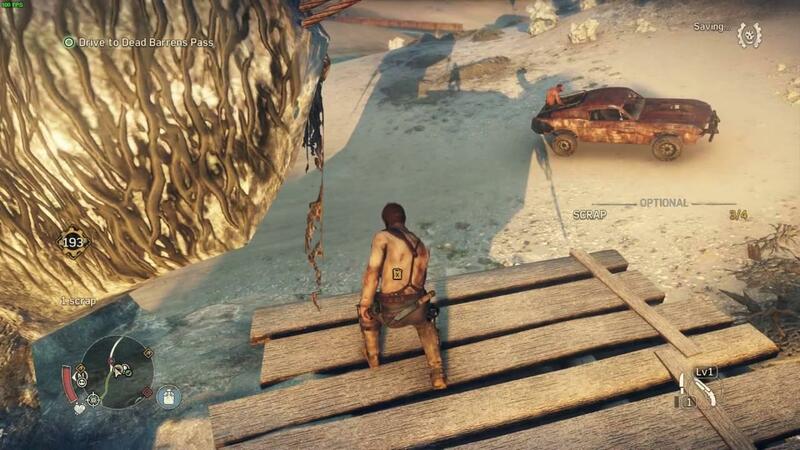 What I love about Mad Max, is that you aren’t just upgrading your character, you’re also building up a new car as you progress through the game. You even get a choice of three different car chassis to steal as well initially, but you can unlock more. I went with “Shovelface” as my choice, as it looked the meatiest and with that name I couldn’t resist. You can change the tires, exhaust, engine, armour, ramming grill and more. If you fancy it why not add in side burners to shoot fire from the sides of your car? How about some nitro boost for that extra bit of power? Mad Max has it all. There’s an extra part to the car-building system called “Archangels”, while you can upgrade specific parts of you car individually at your leisure, the Archangels are like a guide for setting up your car in specific ways. I once killed an enemy by reversing into him, crushing him between my car and another, it was glorious. The map is split up into different territories and Threat Level, and each have their own Stronghold. To unlock more upgrades for your car, you will need to lower the Threat Level of the different regions of the map. To do so, you can take out snipers and minefields, take down scarecrows, and take on camps and convoys. There’s quite a lot to do in the game. The most effective way to reduce threat is to take on the different kind of camps Scrotus controls. While taking out camps is fun, I can’t help but feel like it’s missing a stealth feature. That would have made camps feel a lot more rewarding. There’s practically zero stealth in the game, it’s all about the action. Two pieces of major advice here: Do not rush through the main story missions, be sure to scout out the different loot locations, as the later game does get more difficult, requiring a beefy car and an upgraded character. The second bit of advice being: Build a cleanup crew. Seriously. Inside the Stronghold of each region, you will be able to unlock useful features—the most useful being the cleanup crew who will automatically gather up the scrap dropped by your combat with other vehicles. You need to build one at each stronghold, as they only work in each region they are built in. The car driving aspect of the game has a very GTA feel to it, it handles similarly in such a basic way. You can drive just about anywhere and pretty much do as you please in certain areas. You can even take back stolen cars to a stronghold to unlock them for use. Sadly though, you’re unable to do any upgrades on them; only your original car. Car combat is awesome. Ramming cars, ramming people, doing a drive by with your harpoon and literally launching an enemy driver out of their car is extremely satisfying in a rather sadistic way. The amount of times I’ve thought to myself, “right, I will definitely do this mission now...oh look a convoy!”. Ten minutes later I’ve destroyed a convoy and I’m miles away from what I was supposed to be doing. Just be careful about the exploding kamikaze cars, they can be a real nuisance. There’s a nice assortment of enemy vehicles too, lots of them with different weapons, or even people hanging onto the side of the vehicle. One that caught me completely by surprise as I was chasing it started throwing mines out the back! Another one blew fire out of the exhaust at me which completely fried my car. You can even drive right into sandstorms to take on the elements (pictured above on the horizon), and it’s extremely worth it too. Storms have “Muthaloot” boxes flying around that you need to capture with your car harpoon. Once captured, you can break them open for a ton of scrap. The first time I did so I came out with nearly 700 scrap so it was well worth the effort. The second time, a storm caught me completely off-guard as I was low on health and there was a sniper firing at me from the distance. I still managed to survive—somehow—and I came out of it about 1,500 scrap richer. Result! The game can get a little repetitive once you really get into full swing, as you’re driving from A to B looking for scrap, taking down a few enemies and repeat. It’s strange, as it’s an addicting kind of repetitive play, as I have thoroughly enjoyed it. It also has a “fast travel” system, which helps to reduce the repetitive aspect to it. The amount you can do, and the amount of freedom it gives you is refreshing as we really don’t have many games like this on Linux. Mad Max also features a racing challenge mode called Death Runs, where you can face off against other AI controlled cars in races. Doing so will unlock more vehicles, a fast travel point and rewards for you. Another available mode will see you face off against friends or global times in leaderboards. You can find them scattered across the map. You can even grow a beard if you weren’t sold on it already. Yes, that’s an actual upgrade for your character. One gameplay issue I did encounter was that cutscenes would skip all by themselves. I’ve googled around and found that it’s an issue in Windows too (see here for one such example, there’s plenty more). It’s a real shame, as I feel like I’m missing a bunch of information and there’s no way in-game to rewatch them. Every time it happened it did sour the experience a bit for me. Thankfully, the overall experience totally makes up for such issues. The game itself is damn fun and personally I think it’s worth checking out for the gameplay, but performance in a few places can become troublesome. When you’re used to 100FPS while travelling around, then suddenly dropping down below 40FPS it is noticeable. If you can look past that you will probably have a great time with it. You can find Mad Max on the Feral Store and Steam. I'm really looking forward to seeing what Feral will be porting next once I have finished Mad Max, hopefully it will be the already announced Deus Ex: Mankind Divided! Don't know if it's a game for me, but: how much DRM does it have? The next triple A games really need vulkan support for improve performance... Btw thx feral for this port i'm going to buy it. Waiting for reports of performance on low frequency CPUs. Anyone with a gaming laptop equipped with i5-6400t here? This is definitely my kind of game, but I cant buy it right now. I dont have any time left to play. I recognise the static noise issue. I had that this week with Shadow Warrior. Both times there was a browser window with a flash open. So it does appear that there is a bug in PulseAudio that causes one app to mess up the sound of another. YİİEEAAAAHHAAAAAAAAAAAAAAAAAAAA! time has come! lets bring freedom baaaack to wasteland! my rig is ready to run engines!